Here at Fresh Choice Nelson, we ❤️ Christmas… Almost as much as we ❤️ local! We believe that supporting local is the lifeblood of our region. 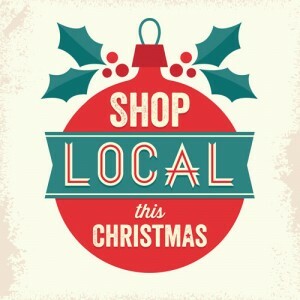 Here are 5 reasons to buy local this Christmas! Your spending will boost the region’s economy – Fresh Choice Nelson has been part of hundreds of Nelson’s families’ lives for over two decades. Locals have worked in our store, shopped in our store and supplied our store. Buy local and ensure that your money helps those employees and suppliers spend locally elsewhere… It’s like a lovin’ local merry-go-round! You’ll be investing in your community – Or we will for you! 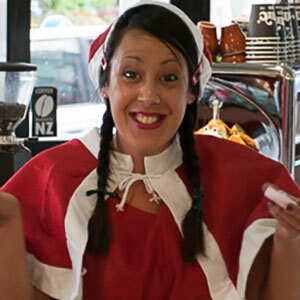 At Fresh Choice Nelson we gift $500 to a deserving group or individual every month. You can apply for the monthly $500 donation simply by clicking on this link and printing out the application form. You can try before you buy! – Head to our Christmas Party on December 7th for tasty treats from our wonderful suppliers… There will be seafood, cheeses, wines and Artisan drinks as well as Proper Crisps! It’s never a party until the Propers arrive! It keeps things real fresh… We get beautiful fresh berries delivered every day from regional suppliers. Just the job to top your Pav! Your friends and family will love you for it – Especially if you gift them a local produce gift basket, full of goodness from just $40. Remember we stock free range and organic meats and hams from our region’s suppliers, as well as organic produce, plus wines, craft beers and soft drinks to get your party started! Tuatara is a dinosaur amongst NZ craft breweries, established way back in 2000, they have accumulated a plethora of awards and a hugely loyal following. This beast of a brewery was judged NZ’s Champion Brewery last month by the Brewers Guild NZ, and was also awarded three best in class awards for their Bohemian Pilsner, Sauvinova Pale Ale and Hefeweizen Wheat Beer. 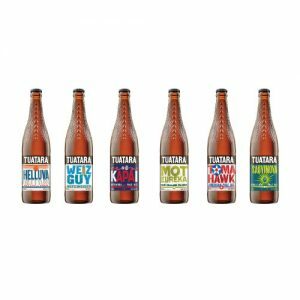 Tuatara beer lovers… Don’t think you haven’t been drinking when you haven’t… Your go-to beers have now got a different look. While still retaining their same tasty magnificence and spiny necked bottles (ensuring a safe grip on the bottle in these shaky times), the labels have changed. The Bohemian Pilsner is now labelled as Mot Eureka, referring to the large amount of Motueka hops in the brew. It still remains full of snap, crackle and hops. Another play on words is Hefeweizen, which is now known as Weiz Guy. He’s still a fantastic wheat beer with refreshing citrus, yeasty and slightly bananary notes. Aotearoa Pale Ale has changed to kAPAi, highlighting the APA and with luscious forest pine notes, everything is good. Sauvinova is still Sauvinova but with different colours, on the label not the brew, which still oozes peaches, grape skins and lime. Helles Lager is now Helluva, as in hell of a good lager, rather than a love of hell! But wait there’s more… Two new brews have been added to Tuatara’s core range, Tomahawk and Amarillo. Amarillo is a 5% American dark brown ale. She’s full of Amarillo hops, giving juicy apricot flavours but carrying an overriding taste of roast malt and coffee. Very similar in style to black IPA or hoppy stout, dunno? Matbe Tuatara could show me the way! Tuatara’s American APA, which was also awarded a gold medal, has been rejigged and is now known as Tomahawk after the beer’s foremost ingredient, tomahawk hops, which pack a citrusy orange thump. So slink down to Fresh Choice Nelson for your go-to liquid lizards… Tuatara Beer! Meal Bags are designed to make your life easier! And at Fresh Choice Nelson we’ve been doing that for some time with our exciting range of Inspire Meal Bags. This year we’ve teamed up with local chef and MasterChef finalist, Paula Saengthian-Ngam, to bring you a brand new range of exciting meal bags with Paula’s own twist! Find Paula on Facebook HERE. You can see the full range HERE. They’ll be available to order from Monday 14th November, and you’ll find them in store from Tuesday 15th November. As some of you may know Paula’s Plate closed around 4 months ago, during this time I have been taking a break, reconnecting with my 3 wonderful children and relaxing. I’ve begun to really enjoying cooking again and remembering what joy I get from it. We all know it’s hard to feel inspired after a long, tiring, stressful work day. I’ve felt like that a lot over the past 3 years. I love cooking and I’m pretty good at it… I got to the final of MasterChef, but I still struggled to decide what to cook for dinner after a busy day. This is why I feel super excited to be working with Fresh Choice, Nelson; bringing you delicious recipes that are quick, tasty and reasonably easy! The best bit is that they are part of the Inspire Meal Bag concept and all your ingredients conveniently come in a handy bag ready for you to order or pick up whilst in store. No more aimless wandering, while you decide what to cook for dinner… And great if you are having friends or family over for a meal, you can even get the kids to cook it for you! Part of my downtime after Paula’s Plate has been a commitment to exercise and eating healthier. I don’t go for fads and believe in eating real fresh food and limiting sugar. 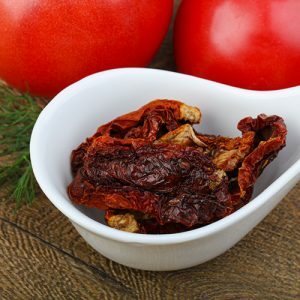 I love the recipes I have created so far and my children have enjoyed them also. This is a great time of year to commit to healthier eating with so much fresh produce in store. A bonus of living in wonderful Nelson. This recipe uses lots of fresh local herbs and just makes me feel like summer. Many of you also know my love of Asian Cuisine so I thought I would share this one with you. Lightly brown the chicken mince on a medium heat. Once cooked through remove from the heat and stir through all the other ingredients. You can adjust the lime, sugar and fish sauce to suit your taste, This gives you the sweet, salty and sour flavours that make Thai dishes sing. Wash the lettuce and trim the edges of each leaf to make a cup. Pile in the spicy chicken, top with nuts and enjoy! I would serve these with steamed brown rice and lots of extra veg like cherry tomatoes, cucumber, red pepper slices and even fresh mango. Sauvignon Blanc at Fresh Choice Nelson. What a selection! Here’s our wine expert, Neil Hodgson to tell you all about the excellent range we have in store… Over to you Neil! Sauvignon Blanc is the single variety that made New Zealand wine famous around the world. The variety had been grown in France for centuries and other countries for decades before New Zealand winemakers tried their hand with it, and the exuberant flavours delivered when grown in New Zealand conditions created an instant sensation. While the international buzz started in the late 1970s and early 1980s, Sauvignon Blanc is still the backbone of the New Zealand wine industry making up 74% of all wine produced here and over 85% of all New Zealand wine exported, it is incredibly important to the industry. Just as importantly it can be a wonderful wine simply bursting with bright, fresh summer flavours that you can buy at really great prices, often below $10 a bottle. This variety has flavours influenced by where it is grown; consider the soft, ripe versions from Sancerre in France and the vibrant versions from Marlborough, then compare Marlborough Sauvignon Blanc with the wines grown in Nelson; the acidity of that grown in Nelson tends to be a little softer and more approachable while still retaining the same punchy fresh summer characters. There are plenty of people who love the sharp, crisp acidity of the Marlborough style but I tend to reach for a bottle of Nelson Sauvignon Blanc when I do drink it. Seifried Estate have a range of very good examples, their Old Coach Road Sauvignon Blanc 2015 has won a bucket load of gold medals and a trophy as well, and you can buy it on promotion at Fresh choice Nelson for just $9.99. And that is another thing, you don’t need to drink Sauvignon Blanc just when it is young. Aged versions can develop a wonderful complexity, as evidenced in the organic Gravity Sauvignon Blanc 2014 from Mahana for just $16.99, a saving of $4. 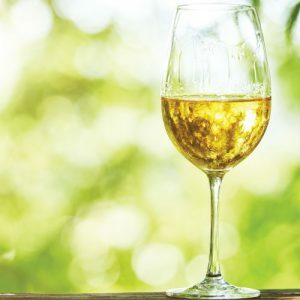 Next time you reach for a bottle of Sauvignon Blanc select something a little different with softer acidity by choosing a Nelson wine or maybe even a barrel fermented version.